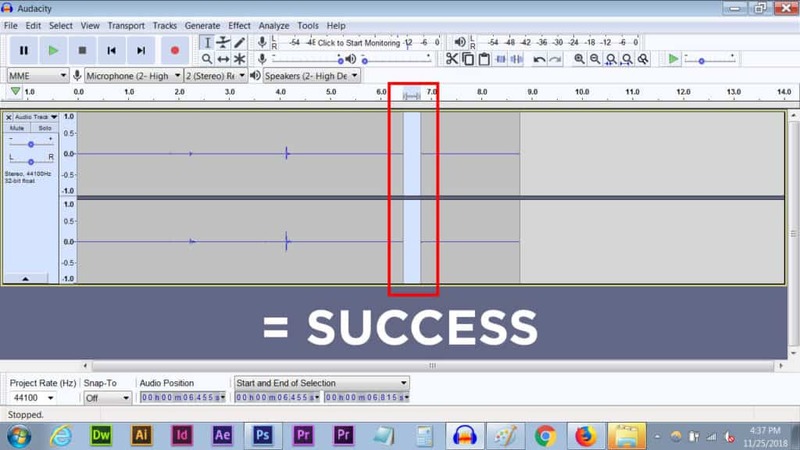 HomeResourcesHow to Record in Audacity | EASY AND STRAIGHTFORWARD! 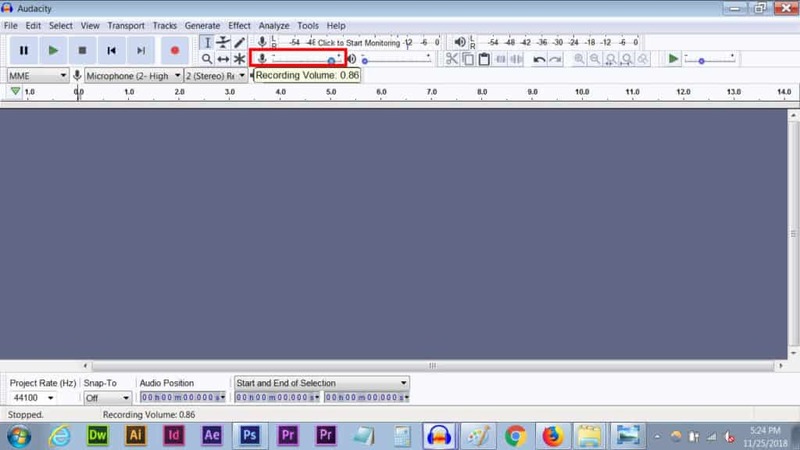 How to Record in Audacity | EASY AND STRAIGHTFORWARD! Before we get into How to Record in Audacity, grab a snack, sit back and relax because..
One of the only programs I’ve ever used to record with is Audacity. The reason being is that it’s super simple and works great! Some other programs I’ve had experience with include Steinberg’s Nuendo and that’s basically it. You also have the option to try out something like Reaper, which comes with a free 60 day trial. I plan on trying it out sometime, but for now Audacity works fine. There’s really no need for me to use any thing else. 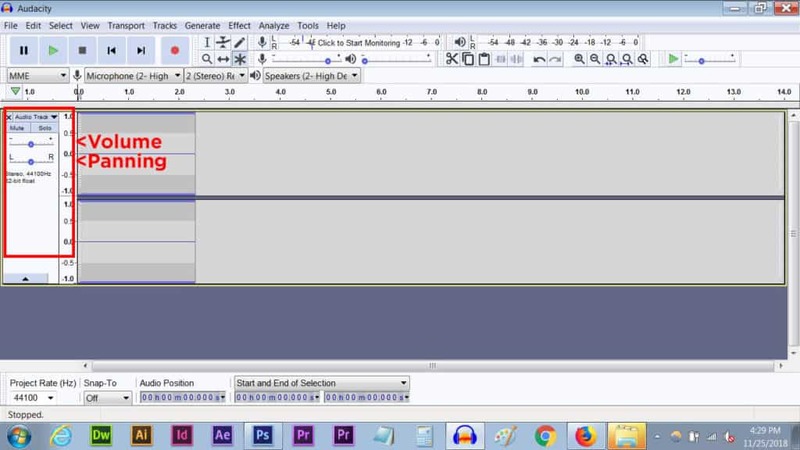 I mostly make beats and do Voiceovers from time to time, and Audacity serves me very well. I will probably use Reaper in the future when I get more serious about mixing/mastering vocals. FL Studio works great for me as far as Sampling/Beatmaking is concerned. Reason is also good for original beats. Audacity is my go to when I need to quickly record a Voiceover or Rap. With that, let’s find out how it works! Your most important components are towards the top of the screen. First things first: Plug in your mic. If you have a USB mic you would simply use a slot on your PC/Laptop. After it’s recognized you would then just click where it says “Microphone” and make sure that your mic is selected. If it doesn’t show up, just close/re-open the program and it should be there. I use the Blue Yeti with Audacity for all of my YouTube videos and it works great! If you need an incredible mic for an incredible price, the Yeti is certainly the best out there. Related: Blue Microphones Yeti Review! After that, click over to where it says speakers and make sure it’s set to whichever speakers/monitors you are using. Related: What are Studio Monitors? If you have an XLR mic, it’s a bit more involved but still not that difficult. This type of connection requires something like an Audio Interface, Mixer, etc. to plug the mic into. Today we’ll just focus on the Interface. Related: What does an Audio Interface Do? Simply plug the Interface into your PC/Laptop via USB. Make sure the device is recognized. If it’s not, go to the manufacturer’s website and download the latest driver. Ideally you would make sure your interface of choice is compatible with whatever operating system you’re on. This is very important! Use an XLR cable to plug from your mic into the front of the interface. I’m using the Focusrite Scarlett 2i2 for all of my recording needs. Related: What is XLR? The most important step is to push the 48v Phantom Power button. Condenser microphones require extra power because they generate a weak signal on their own. Adjust the gain to around 75-80%. I find this is a nice sweets-spot. It will allows you to talk/rap/sing a bit louder without worry of distortion. Simply press the Record button in Audacity and say something. Say what again! I dare you! I double dare you! Say what one more time! Lol. You should see your voice come up as a waveform. Check out my video for a cool visual of the process. Don’t forget to like, comment, and subscribe as well. You’re support is much appreciated! Zoom. A really handy feature. Simply press Control + 1 to Zoom In, and Control + 3 to Zoom Out. Import/Export. If you want to lay down some Rap vocals, simply use the Import > Audio feature. For export, just Export Audio as WAV. You can also export just a selection. Highlight it with your mouse, then File > Export Selected Audio. Volume & Panning. This is especially useful for adjusting the levels on your mix and creating a sense of depth and space. If I have multiple takes, ad-libs, etc., I like to space them out accordingly. Split Stereo to Mono. This is another important aspect. If you’re recording in stereo, playback will only come through one speaker or one side of your headphones. 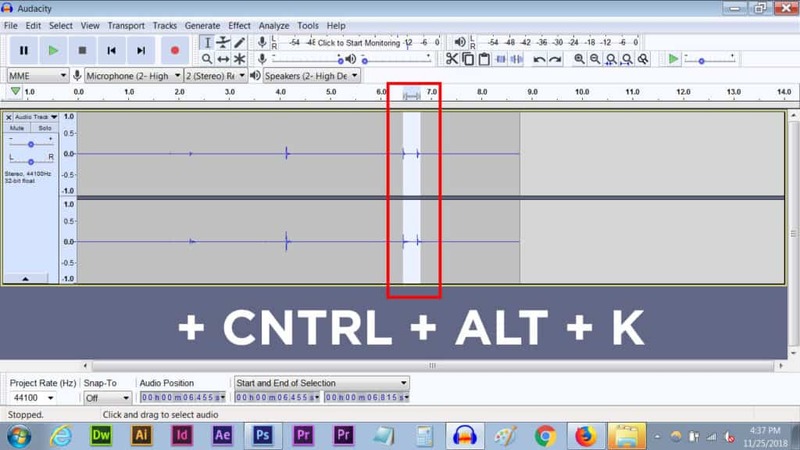 To remedy this, simply go to where it says Audio Track, then scroll down and click Split Stereo to Mono. Recording Volume. This is pretty important as well, especially if you’re ripping Vinyl or something. You want to keep it as high as possible. I hope you’ve gotten some valuable information out of this tutorial. Audacity is a fantastic program to get your feet wet with recording and kind of see how things work. I would highly recommend the Yeti to start out as it works seamlessly with this program and will allow you to get going fast with no headaches. It provides the best sound out of all the USB mics that I’ve personally tried, and even rivals something like an AT2020 (XLR). Later on down the road you can try out Reaper and an XLR mic with an Audio Interface if you so desire. Learn more about my favorite USB mic! If you need help deciding on a mic, I’ve also got you covered! This article goes into everything you need to know before deciding..
Well that’s about it for today folks! 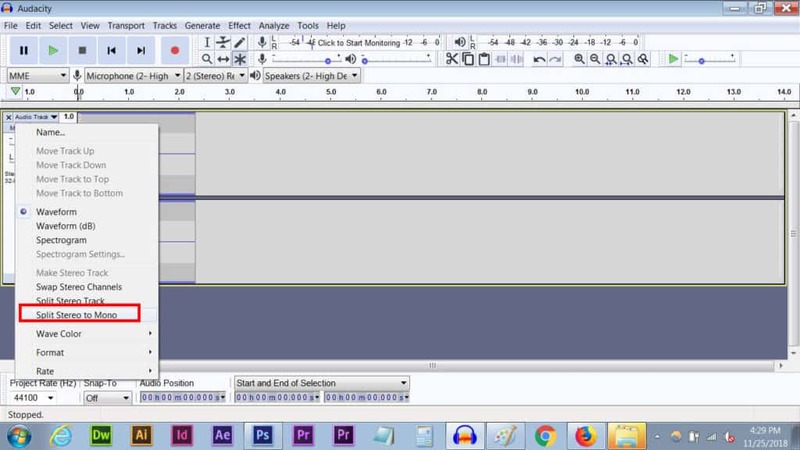 I hope you’ve come away with some valuable insight on How to Record in Audacity..
How did I do? Suggestions for improving this article? Do you need any further clarification on anything? Did I leave anything out? Let me know! !